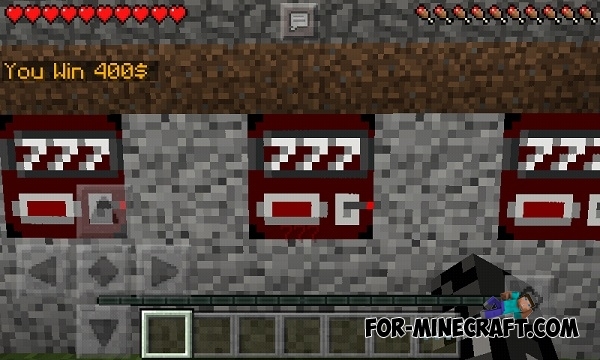 This mod will add the money that can be earned by killing mobs. For every mob you get $ 50 (check balance - /money). So, let's look at everything in order. The first is Slots Block - id190, wager - $ 20, winning different. The second is Roulette - id191, wager - $ 50, in case of winning you get $ 150. Last table is BlackJack - id192, wager - $ 20, in case of winning you get $ 120. Tap on the roulette and then enter in the chat: / red, / black, / zero. Tap on blackjack and you will see your scores. The goal - to get more scores than the opponent, but not more than 21. Commands: / more - take another card, / end - enough. 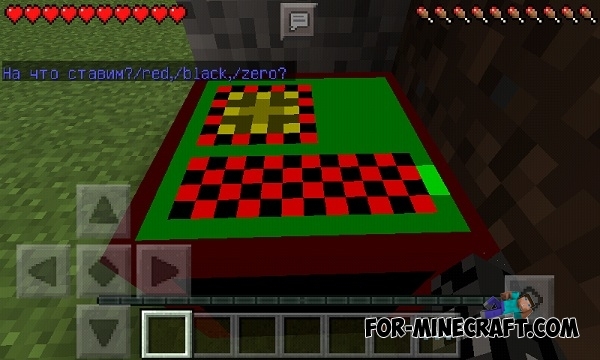 Lucky Blocks Black Mod for Minecraft 0.11.X/0.12.XMod adds to the world of Minecraft Pocket Edition a black lucky blocks, which differ by originality and the consequences of opening. The End Mod 0.10.5You can find the portal at the end as at the computer edition, using Ender's eyes. Map «The Red Palace» for Minecraft PE 0.9.5.1This Red Palace! 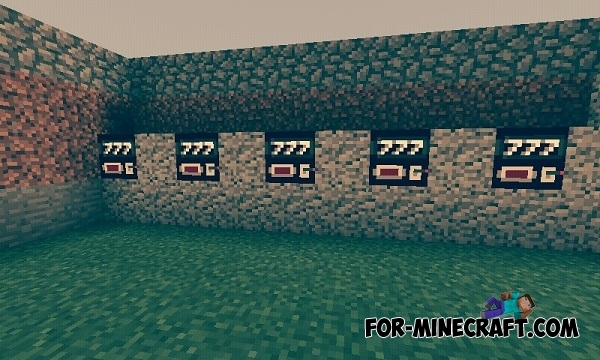 Wall for Minecraft Pocket Edition 0.9.5.1 , lying on this map consists of stacks of 580 and 15 blocks of red wool, a total of about 15,000 blocks.